In my last post regarding the demise of USA based Ovation Guitars, I left off wondering what would happen with Guild Guitars. Today a press release answered this question. Guild Guitars have been around since 1952. 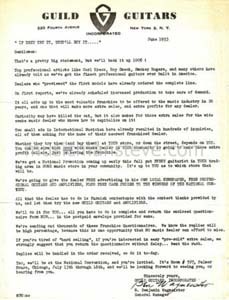 In 1948, the remaining Epiphone brothers, Orphie and Frixo Stathopolo were fighting about the companies dwindling assets and the fear of a union strike. Frixo sold his shares to Orphie. Orphie ran Epiphone until 1957 when he sold the company to Gibson Guitars and closed up shop. 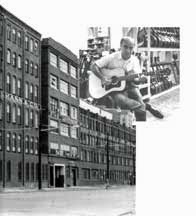 The Epiphone’s artisans and craftsmen in New York lost their jobs in 1953 when Orphie moved production to Philidelphia to avoid a union strike. Enter Alfred Dronge. Avram “Alfred” Dronge, known to many as Al was born in Poland. His family left the country during 1914 and headed to Paris, moving to New York City two years later. He grew up in Manhattan and was a regular at the many music stores in the city. It was there he became an accomplished banjo and guitar player. He gave guitar lessons, worked in New York clubs and on cruise ships. Al eventually opened his own music store in the mid 1930’s. Al made a small fortune importing and distribution accordions in the late 1940’s through the early 1950’s. In 1948 he sold his music store. 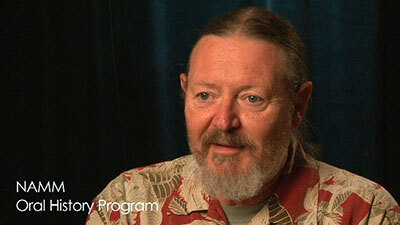 George Mann was a good friend of Dronge and a former Epiphone executive, who found himself out of work. 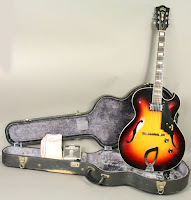 Mann suggested to Dronge that money could be made by setting up their own guitar manufacturing business and employing some of the craftsmen from Epiphone. The men set out by procuring a 1500 square foot loft in New York City. This building sat between the old Epiphone factory and the Gretsch Guitar factory. Dronge and Mann were hoping to lure workers from both companies to come and work for them. The knowledge these workers brought with them would help the new business create a better guitar. In 1952 a partnership was finalized and business papers were drawn up for the Guild Guitar Company, the name the men had settled on. Sometimes referred to as The Three Amigos, Guild was able to employ Gilbert Diaz, a Puerto Rican and a veteran of Gretsch, Carlo Greco, who was from Argentina, but learned the art of guitar building in Italy and Fred Augusto, who was a finishing specialist. These three men brought with them a collective 25 years of crafting and refining guitars. By late 1956 the successes of Guild lead the company to seek out a larger facility. They found this in Hoboken, New Jersey. During this period Guild improved its line and came up with its Artist Award guitar. Jazz great George Barnes helped develop a signature guitar. Rockabilly legend Duane Eddy followed up with his signature model. In 1966 the Guild Company was sold to electronics giant Avnet. Dronge stayed on to run the company. The Hoboken factory became too small. 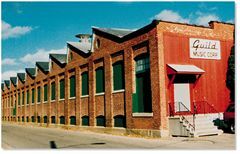 Dronge discovered a furniture factory in Westerly, Rhode Island that was spacious enough and also contained some of the necessary machinery needed to meet the demand for Guild guitars. 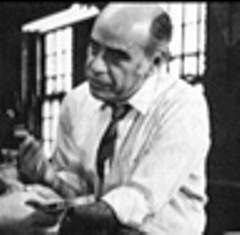 And though the production was moved to Westerly, Guild’s main office remained in New Jersey. Guild made some fine archtop and electric guitars, but their forte has always been in the wonderful flat top guitars they manufacturer. The first three models that were introduced in 1954 include the F-30 Aragon, the F-40 Valencia and the F-50 Navarre. By 1963, Mark Dronge (Al’s son) added to the lineup the D-40 Bluegrass Jubilee and the D-50 Bluegrass Special. 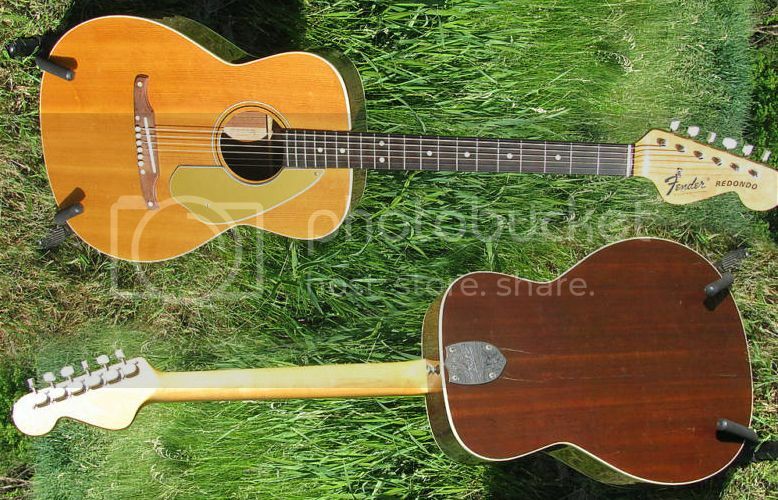 By 1968, the D-55 Guild’s top-of-the-line acoustic was offered. 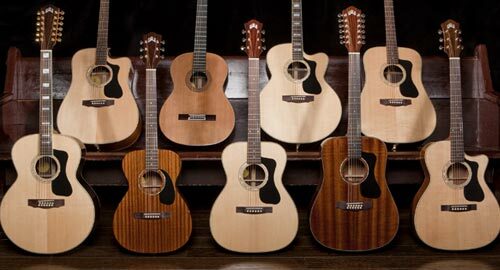 These instruments competed with Martin’s dreadnought guitars. Guild also introduced the Grand Concert guitar with the designation of F. This guitar was Guilds competition with Gibson’s Super Jumbo guitars. I have to say that one of the finest 12 string guitars ever built is the Guild F-512. 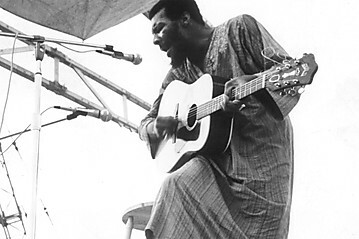 Guild Guitars received a big boost in recognition when Richie Havens played his Guild D-40 at Woodstock. Guild also created some great jazz electric guitars. 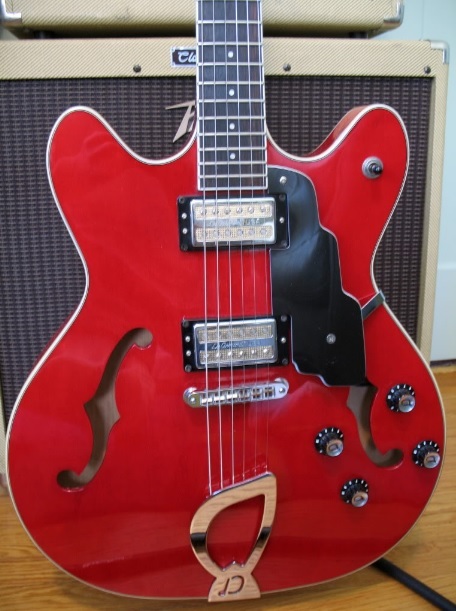 My favorite one is a gem called the M-75 Aristocrat, built back in the early days of Guild. 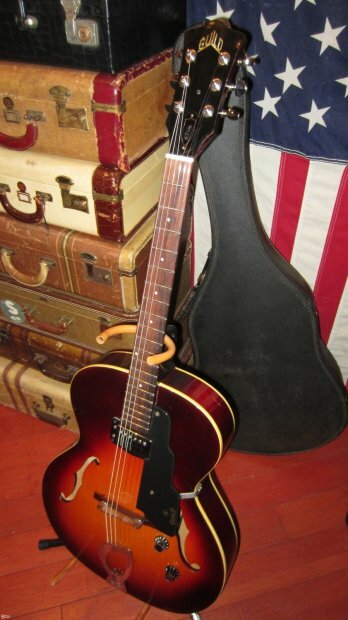 It looked similar to a Gibson Les Paul or a Gretsch Duo Jet, except it had a Venetian cutaway (rounded). The other difference was despite looking like a solid body guitar, it was actually hollow. Production stopped on this guitar in 1963. It reemerged in 1968 as the Bluesbird. There were a few differences from the Aristocrat. The main one was the pickups. The soapbars were now Guild humbuckers with gold foil. By 1970, the Bluesbird no longer had an archtop. The shape was the same, but the top was flat. Perhaps the finest Guild electric was the Johnny Smith Artist Award in 1960. It was a beautiful full bodied archtop with one pickup. Shortly after the acquisition and move to Rhode Island, Guild began production of electric guitars. The Starfire line were the semi-acoustic models set to compete with Gibson’s ES line. These included the Starfire I, II and III which were semi acoustic. The Starfire IV, V and VI guitars were semi-solid guitars. All Aristocrats and Bluesbirds came with the Guild style head stock and included a “Chesterfield” emblem inlaid in the head stock. There is always an exception. 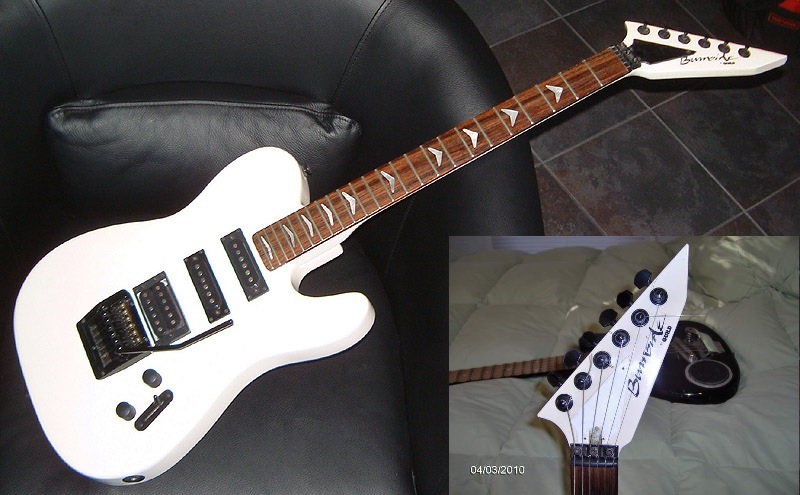 In 1986 Guild went a little crazy with the Bluesbird design; the body retained the same shape, but the head stock was changed to six-on-a-side tuners. This version came with 3 single coil pickups a blade switch. Guild’s top of the line deep body electric during the late 1960’s was the deep-bodied X-500 which came with Guild single coil gold plated pickups. 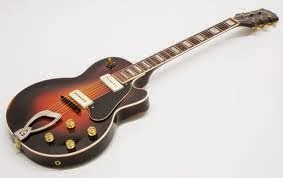 A similar guitar was the tobacco burst X-175 which came with twin humbuckers. 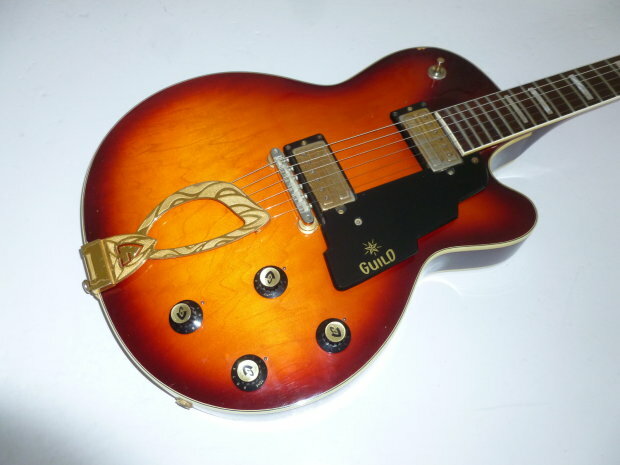 Guild also offered the CE-100E. The body was slightly deep. It came with Guild's frequency-tested pickups in one or two pickup models. On later models the pickups were humbuckers. The T-100D was a thinline single cutaway with one or two “frequency-tested” single coil pickups. The T-100 came with one pickup. Guild also dabbled in solid body guitars. The Guild Polara Series was meant to compete with Gibson and Fender. The original S-100 had a metal bar that was hinged on the back of the guitar that acted as a built-in guitar stand. 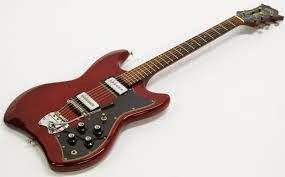 The original S-100 Polara was unique, but the body shape soon became not much different than Gibson’s EG series. The S-200 Thunderbird is a take off on Fender’s Jaguar guitar shape. It is sometimes called the Gumby Guitar, since its body looks somewhat like the clay mation figure. This was another unique guitar that came with a built-in stand. Unfortunately, Al Dronge met an untimely death in May of 1972 when his private plane ran into bad weather and crashed. The plant held together and kept it’s goal of craftsmanship throughout the 1970’s and 1980’s. Bill Schultz had been involved in music sales and operations for most of his life. He helped bring the Yamaha brand to the United States. He fronted a group of private investors and purchased Fender Guitars from CBS. Fender did not have a reputation of building a good acoustic guitar. 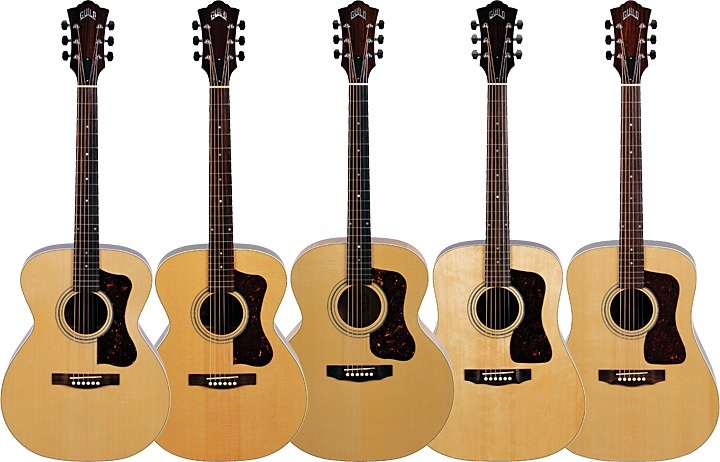 Perhaps the most Fender-like acoustics were designed in the late 1960’s by Roger Rosmeisel. These had the traditional Fender six on a side headstock and all came with a bolt-on neck. For most serious and professional guitar players, the bolt-on neck was a sign of an unworthy guitar. 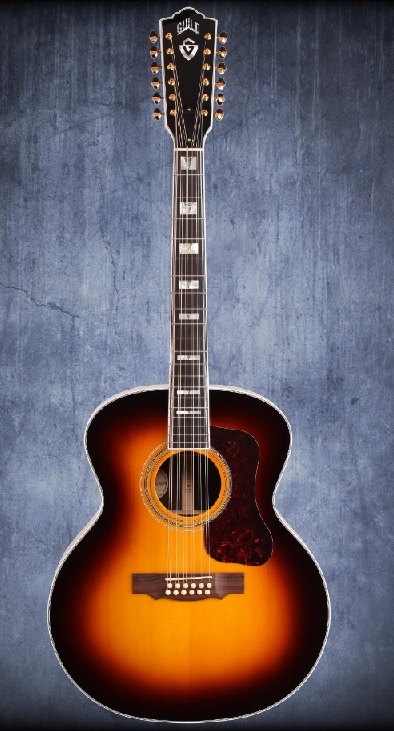 One of the goals of Schultz and his group was to offer a class act acoustic guitar under the Fender flagship. 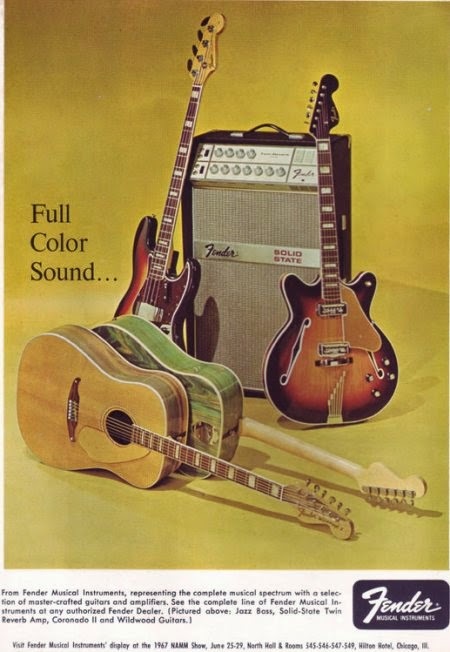 It was in 1995 that Fender, now Fender Musical Instrument Corporation, bought Guild Guitars and all of its assets. Fender now was able to offer a respectable acoustic guitar. In 2001 Fender decided to move Guild guitar production to their home in Corona California. This plant produced USA made electric guitars and amplifiers. The employees in Westerly put together “kits” of unfinished guitars and shipped them to Corona for assembly. Then work ceased and the plant was shut down. Production in Corona lasted only around three years. Fender had a new acquisition; Tacoma Guitars. Tacoma Guitars were owned by the Young Chang piano company, a Korean firm that set up a wood mill in Washington State to produce soundboards for their pianos. The mill’s general manager persuaded the company to set up a guitar plant. The guitars took the name of the town where the mill and plant were located; Tacoma. Due to the downturn in the economic climate in Korea, Young Chang sold the business to the general manager, J.C. Kim in 1999. Tacoma’s craftsman came up with some remarkable guitars and was producing around 100 instruments per month. The trademark on the first Tacoma guitars was the unusual sound hole, which was located on the upper bout. This sound hole became known as the “paisley” sound hole. 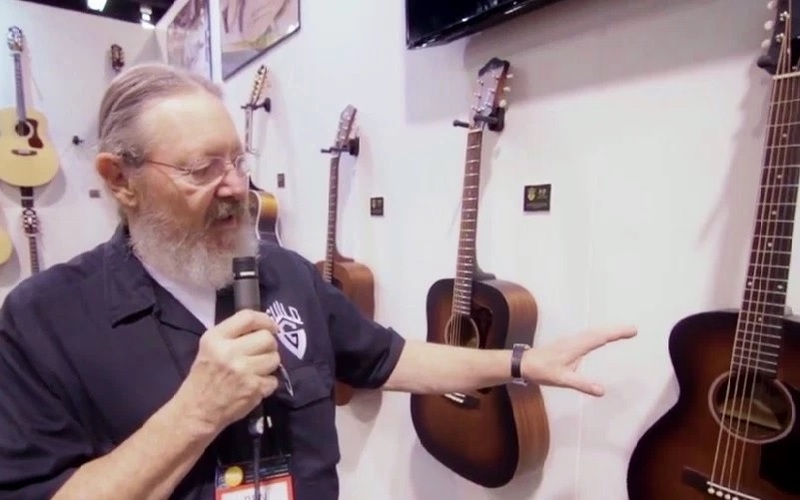 Tacoma made a pint-sized travel guitar called The Papoose. This guitar became an instant hit. In 2004 Fender Musical Instrument Corporation acquired Tacoma Guitars. Shortly afterward, Guild acoustic guitar production was moved to the Tacoma guitar plant, where it would remain for the next four years. During the next four years production of Tacoma guitars ceased, as Fender concentrated on Guild guitars and it’s USA branded Fender acoustic guitars. In 2008 Fender Musical Instrument Corporation purchased the assets of the Kaman Musical Corporation. This became the death knell for Tacoma Guitars. 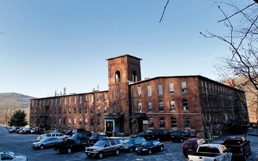 All acoustic production of USA made Guild Guitars was moved to New Hartford, Connecticut. The first models to roll out of the New Hartford plant were the popular D-55 and F-50 guitars. For the next six years there were a lot of developments from the R and D department. Production continued on the traditional series acoustics. A new system of acoustic amplification was created and called the DTAR pickup system. This was made up of an internal microphone and an under-saddle piezo transducer. In 2010 the new Guild Standard Series included models based on Guild’s historical top end traditional guitars. Changes were made in ornamentation and finishing to bring the price point down. The wood used was of a lower grade, but the guitars were excellent. These included the F series including the popular F-212XL and the D series. Later that year some of these models were produced with a cutaway. During the Westerly era and going forward Guild has imported guitars from differing Asian countries. 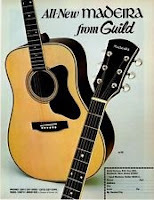 Guild introduced a brand called Madeira in the early 1970’s. The first of these guitars came from Japan and later produced in Korea. These guitars were more affordably priced than a Guild guitar. I have seen a few, mostly nylon string Madeira guitars, but I know they imported differing models of guitars and banjos under the Madeira logo. After Fender purchased Guild, reissues of Guild electric guitars were manufactured in Korea and Indonesia under the DeArmond brand name. Yep, Fender owns the rights to DeArmond too. The lower quality instruments were made in Indonesia. They were very playable, but used PVC for the nut, saddle and inlay material. The logo is stenciled on these guitars. The Korean made DeArmonds are treasures. They are well made and great players. The stylized brand name is inlaid on the headstock as is the traditional Chesterfield logo. In the early part of 2000, Fender/FMIC created a line of less expensive Guild guitars that were made in China. These were designated GAD orGuild Acoustic Design. The finishes were polyurethane instead of nitrocellulose lacquer and the wood used was of lesser quality. These guitars made up the bulk of the annual Guild production. They are identifiable by the number 1 in the prefix. As an example a Guild F-50 as a GAD would be a Guild F-150. 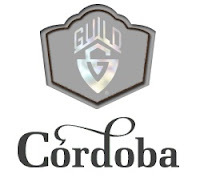 The May 7th announcement came brings hope that Guild will continue under the direction of Cordoba Guitars. Cordoda guitars USA were formerly known as Tornavoz Music Company. Cordoba Guitars high end models known as the Espana series and the Loriente series are handmade in Valencia and Barcelona Spain. The Iberia, Fusion, Luthier, La Playa, Acero and Protégé series as well as all of the ukuleles are made in China. This past June Cordoba opened a new 2500 square foot artisan workshop in Oxnard California to build guitars that will be 100% made in the USA. They currently offer five models of American built guitars. The facility is being overseen by luthier Kenny Hill. The new guitars will be hand built using premium materials. Cordoba has set up it’s US headquarters in Santa Monica California. On May 13th, Cordoba announced Ren Ferguson to be the vice president of manufacturing and research and development for Guild guitars. Ferguson has been in the business of music for nearly 50 years. Twenty-seven of those years were spent with Gibson Guitars. Best wishes to Cordoba in preserving a remarkable and historic guitar brand. 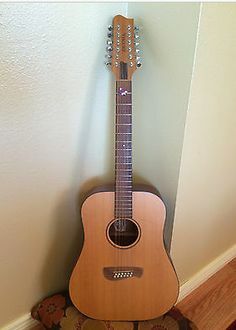 My Guild D-35 was the first "good" guitar I ever owned, and one I wish I ad kept. 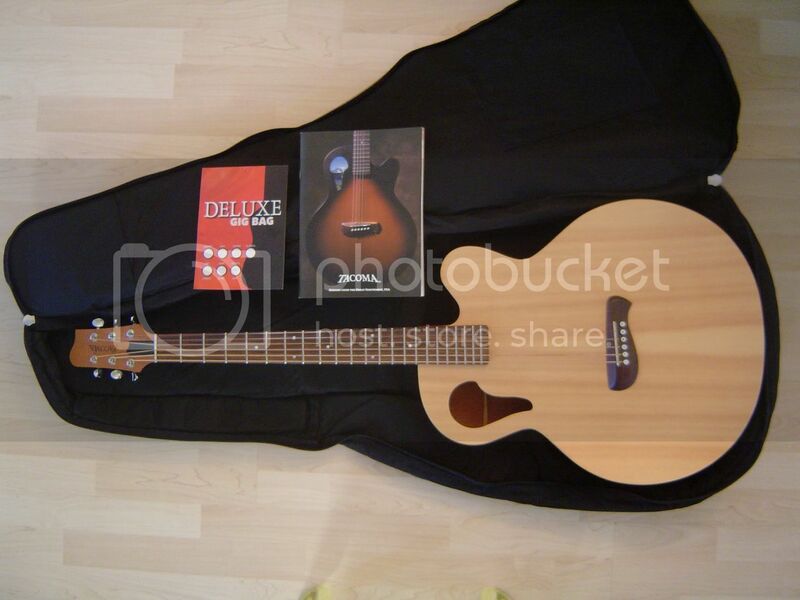 I had purchased the Guild D-125CE Guitar which has the solid mahogany top, back and sides. In my view, this guitar surpasses many high-end guitars but a far less price. I want to thank everyone who is involved selling and building Guild instruments. You all provide the opportunity for me to play a high quality instrument. The link is just my music played on the Guild D-125CE Guitar. I give the credit of the song to Guild and not myself. Keep up the great work building great affordable guitars. Harika bir blog, teşekkür ederim, toner dolumu. electrical assembly jobsFind Electrical Assembly Jobs in Austin - Vacancies, openings, job roles and employment opportunities from all career sites in the US. Search now! production jobs-Find Post Production jobs, job requests and resume. Find your next Post Production job, partner or employee at the assemblyjobs Job Center, the job center for professionals working in film, broadcast, video and digital media. 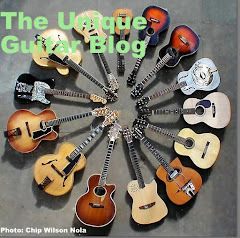 Nice Post on Cordoba guitars. I just loved it!! Where to buy cordoba guitars online?